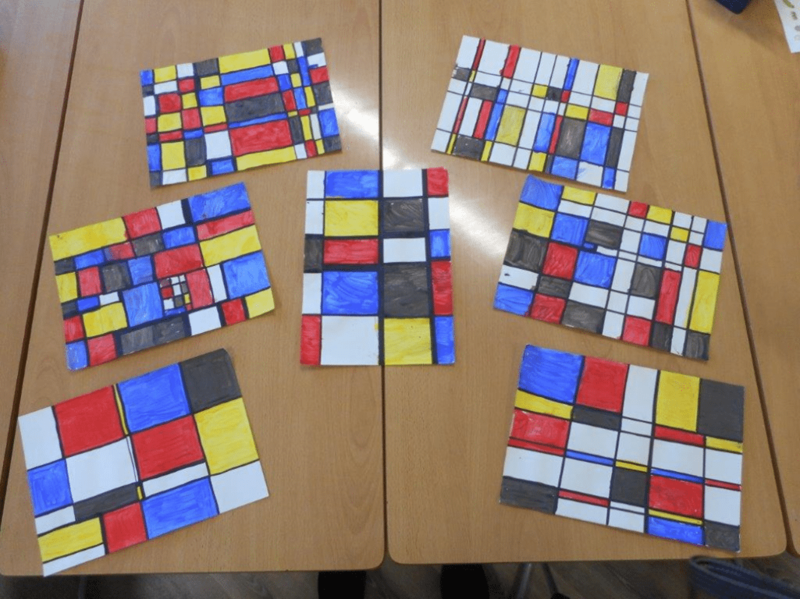 Year 2 got into the swing of things and painted their own Piet Mondrian pictures. Mondrian listened to swing music while he painted, so they did too! They were inspired by the music to paint their own pictures.